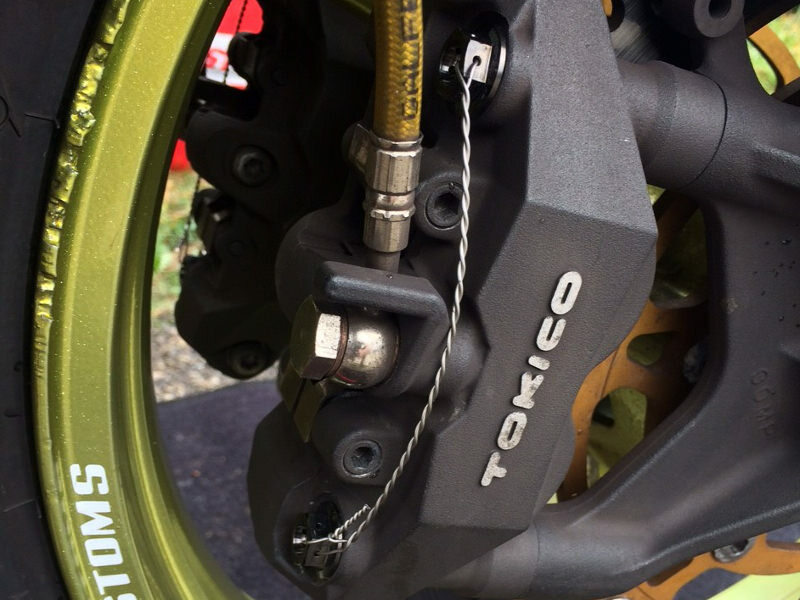 Reduce Unsprung Wheel Weight using the Pre-Drilled for Safety Wire MOTO-D Titanium Front Brake Caliper Bolts. Gunmetal-Black Color 6AL-4V (GR5) Titanium which is approximately 40-45% lighter than steel OEM bolts at 2X Tensile Strength. Comes 4/Pack. Worked perfectly, much lighter than OEM and enables you to safety wire. Very nice quality product. Perfect sized pre-drilled for legal diameter safety wire. Exact fit. These are great, light weight bolts for racing. Great fitment. Safety wire ready. Perfect. Click the button below to add the MOTO-D "Race Spec" Titanium Caliper Bolts to your wish list.